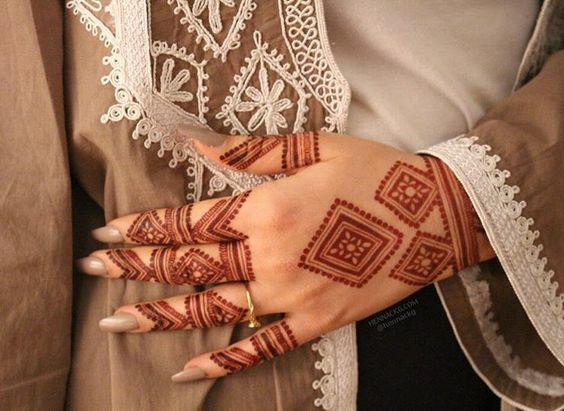 Not all have the patience and time to practice the art of mehndi which is why we bring you 30 latest and simple mehndi designs that are easy to draw and yet are creative from an artist's angle ! 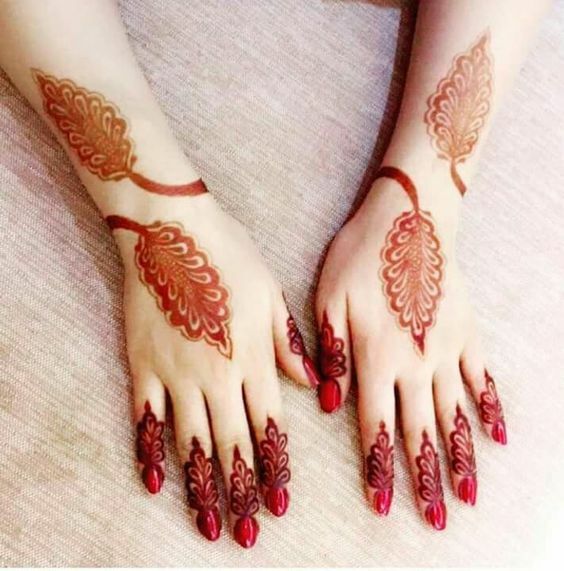 The red color left by mehendi is one of my favorite hand decorations ! 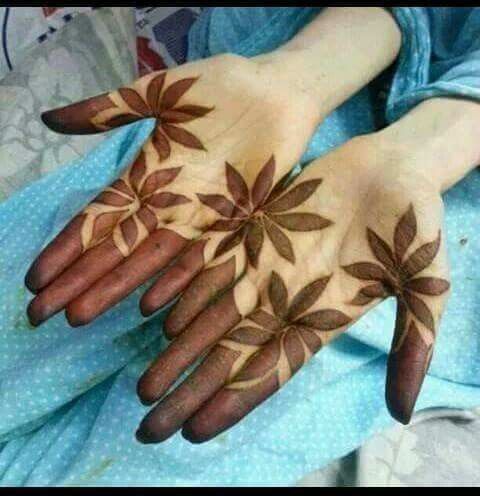 The deep color pigmentation looks lovely on the palms and feet of the women and most of the Asian women can relate to this feeling ! 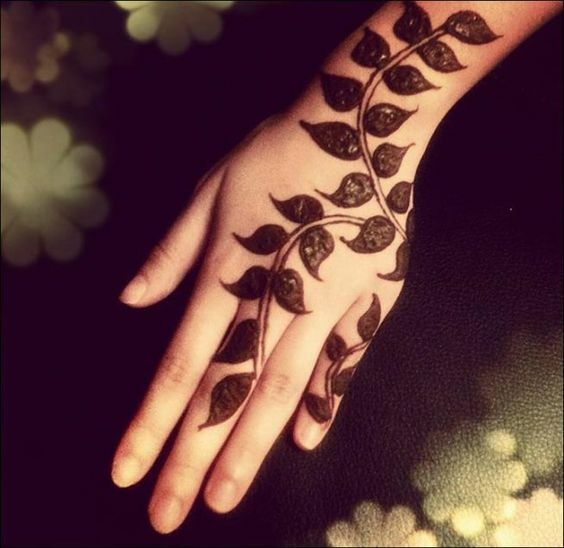 Why Start With Effective Yet Easy Henna Designs? Tips for Beginners. 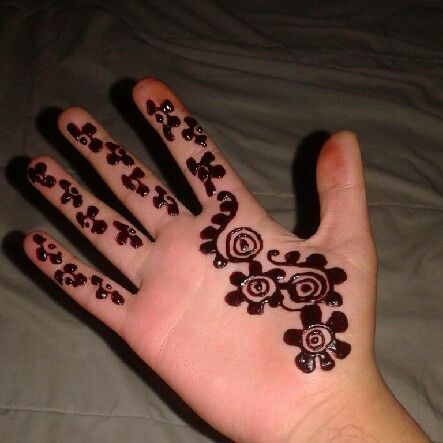 If you haven't tried mehndi and this is your very first time, I would suggest you first practice on yourself or a thick cardboard paper. 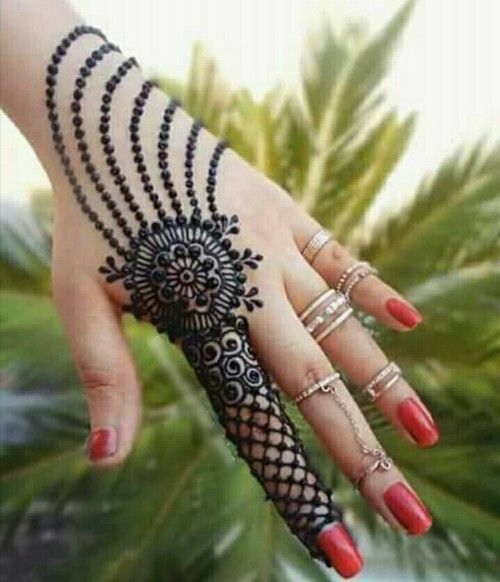 But never get yourself to think you can't, you can as i strongly believe the henna for of art is something every individual can give a try! 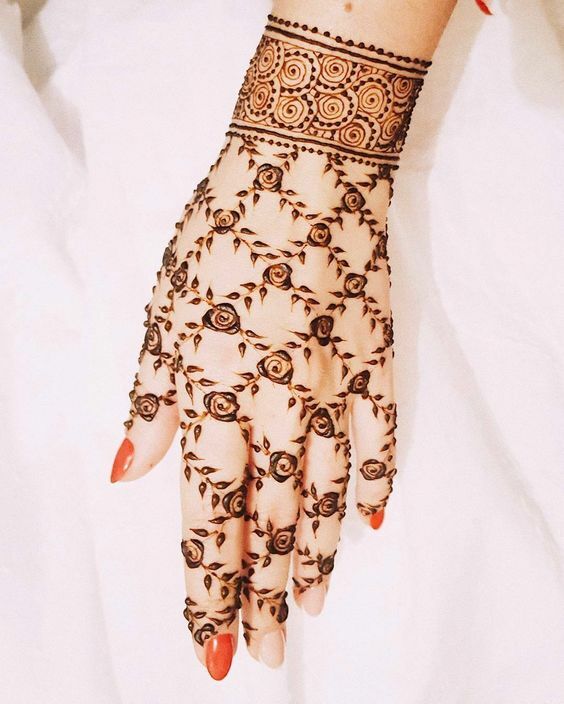 Trying complex or same old mehndi designs could get hectic or either boring which is why you must give different and unique patterns a try , which will surely garner a lot of attention and make you the star even at the beginners stage ! Mehndi patterns can be complex but when you choose a latest mehndi pattern to draw which has clean lines and less complications you can master it without much hard work. 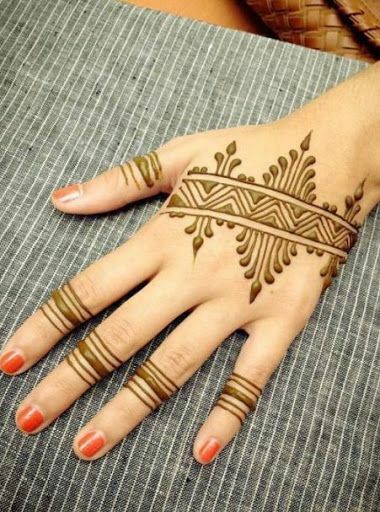 If you are a beginner you obviously are not perfect with holding the henna cone or even drawing curves and lines with the cone, which is why investing time in a difficult or tricky henna pattern at the start of your learning experience can be a depressing and demotivating task ! 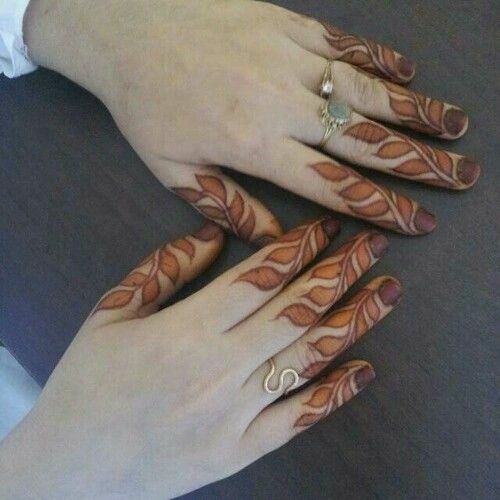 When your henna mehndi design is easy and simple you will do it much more confidence , but when the henna design i easy and creative you are bound to get a lot of compliments while not fretting over the difficulty of the drawing the henna. If your henna mehndi art looks good with the first few attempts , it spurs your creativity and encourages you to master the mehndi design art ! 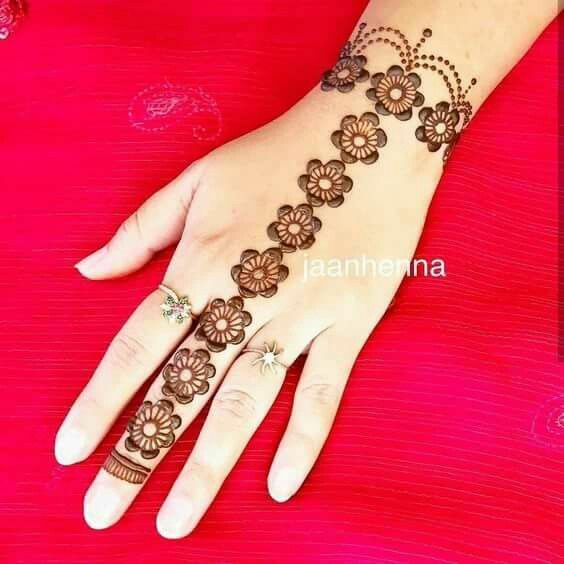 Here I have put up 30 amazing and latest new mehndi designs for beginners which are going to be a huge trend in 2018. 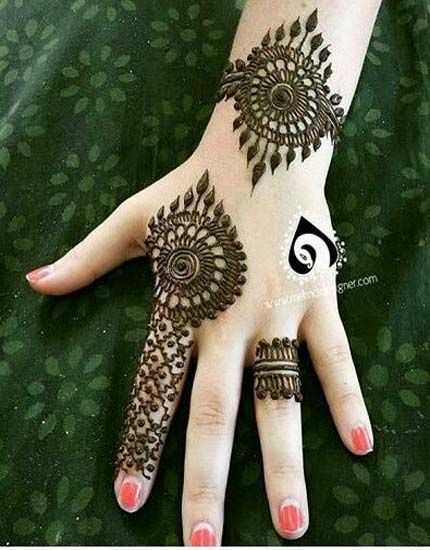 These various new mehndi designs can be drawn for different occasions, be it a party, a festival or if you are a guest at a wedding! 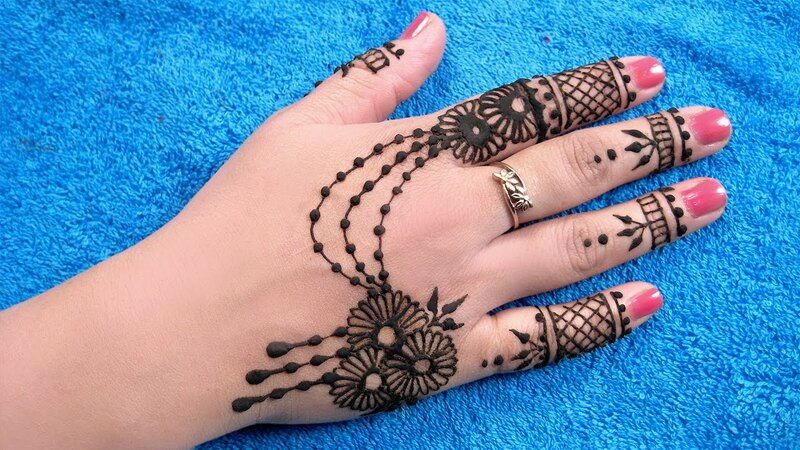 These 30 latest and simple mehndi designs for beginners will surely bring out the creative artist hidden in you. 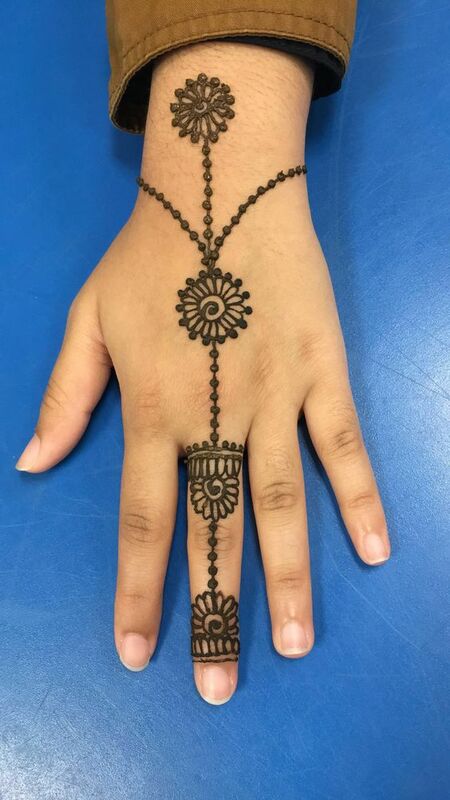 They might look a little hard but trust me I had no problems and i am just a beginner , I received a ton of compliments for my design ( Simple yet effective : Between I drew Design no 9- check it out )! 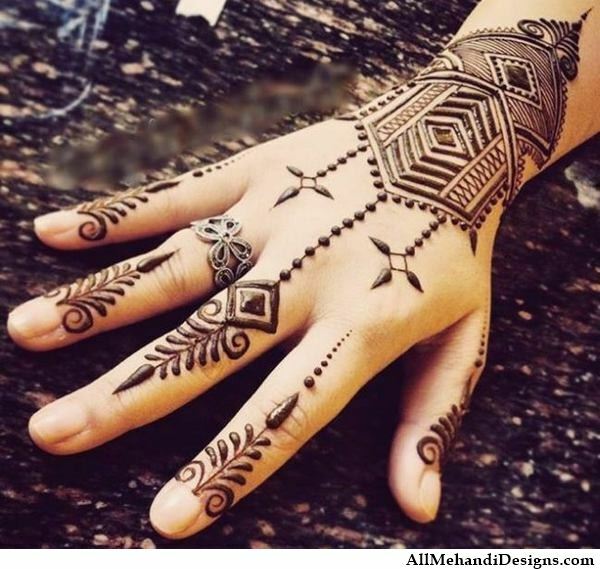 I have gathered 30 latest and amazing mehndi designs and you are going to love them. Scroll down to know which among them are my favorite! 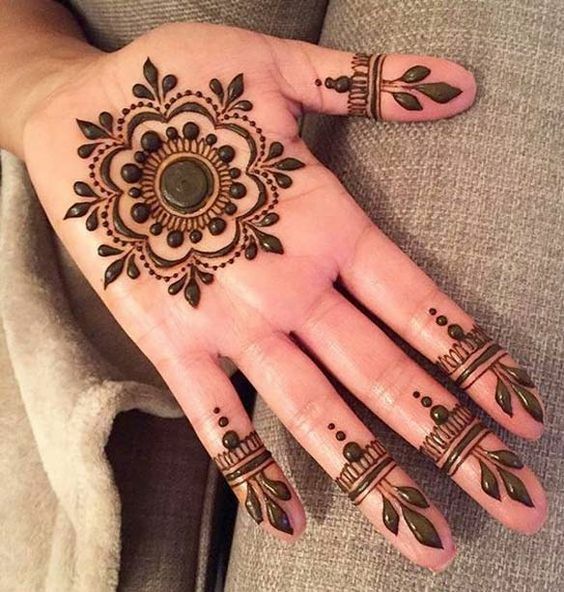 This delicate and beautiful mehndi design is simple and breathtaking at the same time ! Won't take much of your time and practice. 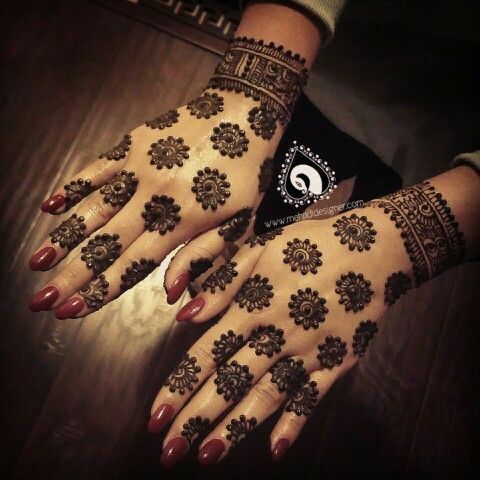 Looks absolutely gorgeous and is one of the most latest trending henna patterns in the collection of new mehndi designs. Looks like a delicate hathphool or even better ! This ripple like creepers climbing on the sides of your fingers is unlike we have seen before. 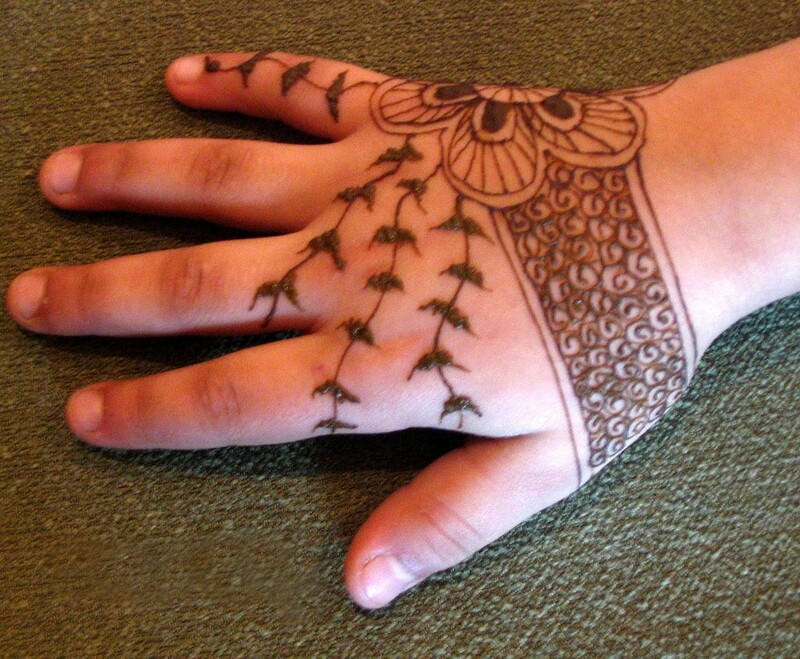 This is a great start for those wanting new mehndi designs even though they are a beginner ! 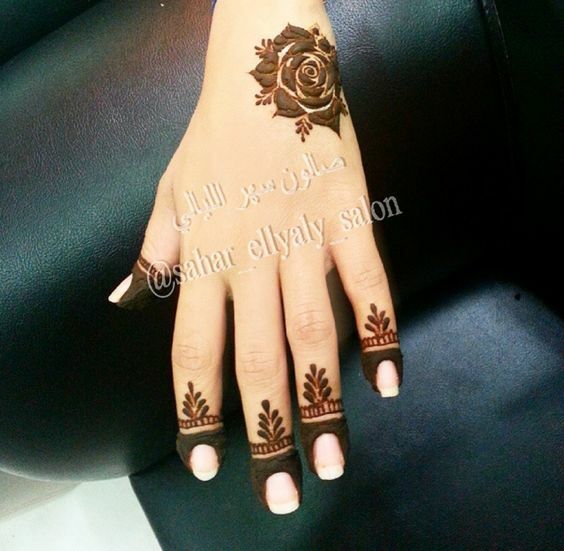 Very simple and beautiful simultaneously , easy on the hands too ! 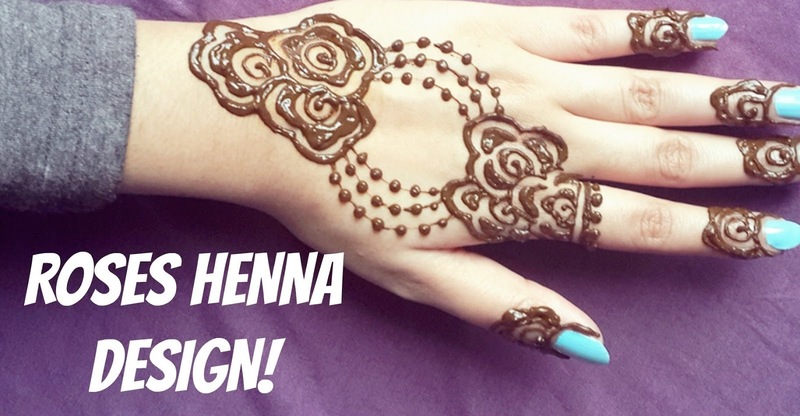 If you are a beginner and want a hassle free mehndi design this is for you! 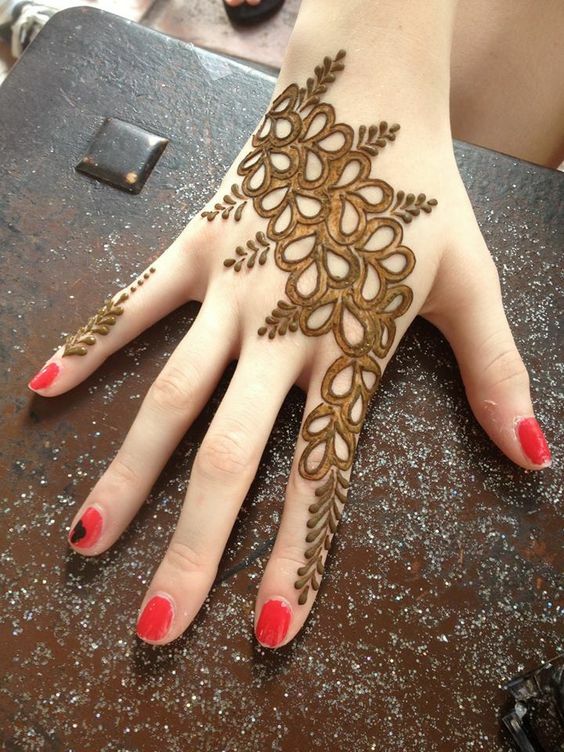 One of the latest mehndi designs include the use of jewellery designs as an inspiration to draw their henna art. 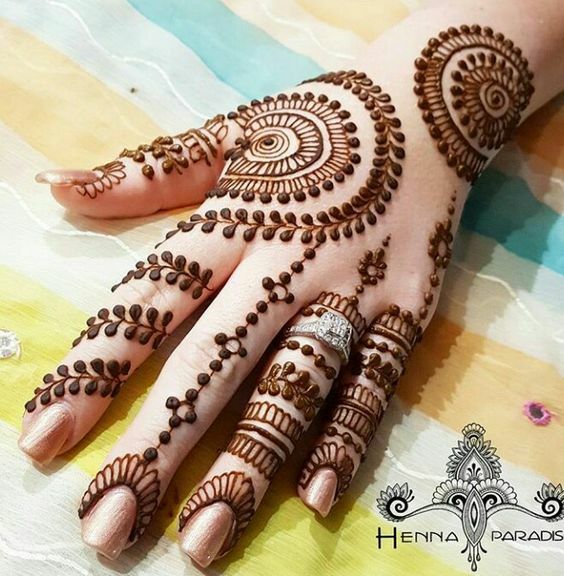 This beautiful and lovely new mehndi design has a adjustable cuff like design drawn on the arms of both the hands ! Easy and effective! 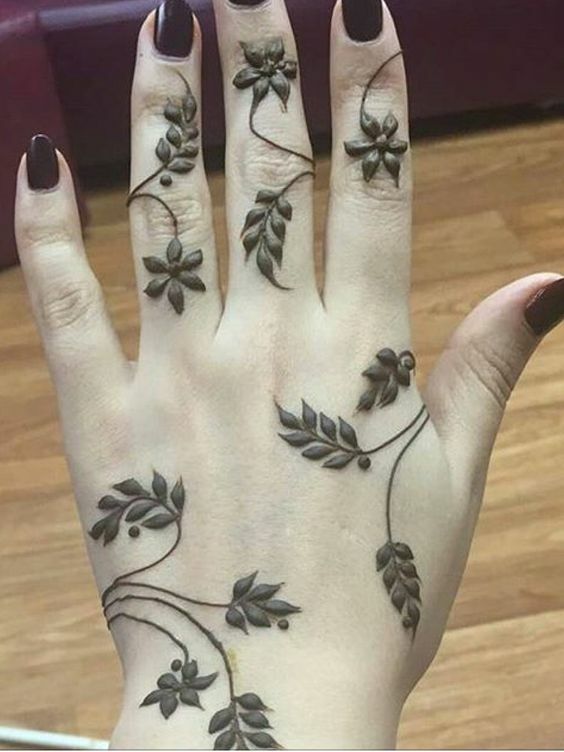 This floral henna design is not at all complex and has very simple lines and dots connecting to small flowers. Anything that has loads of filling is a great thing for starters as filling is much more simpler than drawing crisp lines and tough curves. 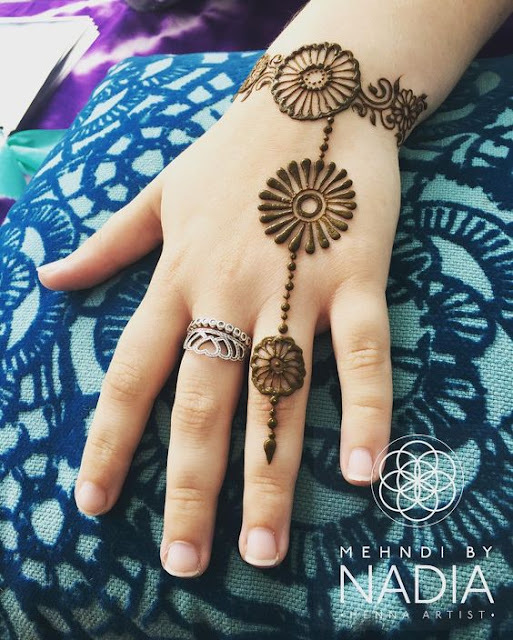 This extremely pretty mandala design has geometrical patterns and a lot for filling making it easy for starters! 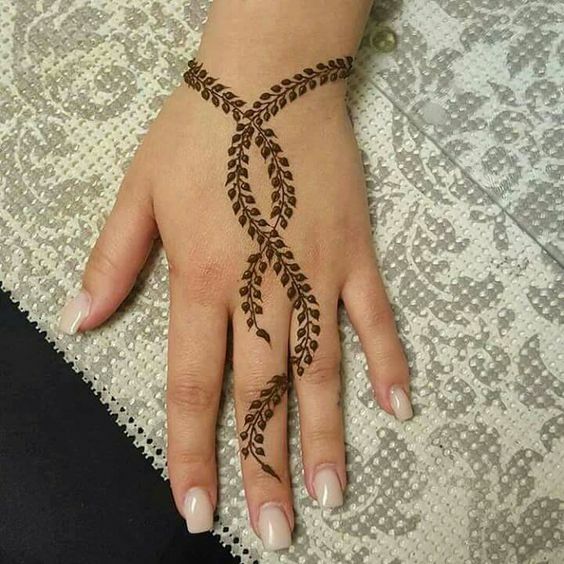 You don't have to follow specific rules when you are drawing henna art which is why its great to just draw a chain of flowers and not worry about it looking empty or incomplete !Beautiful and easy! This is more like a statement rose mehndi design. We women are crazy about flowers but most of all roses. 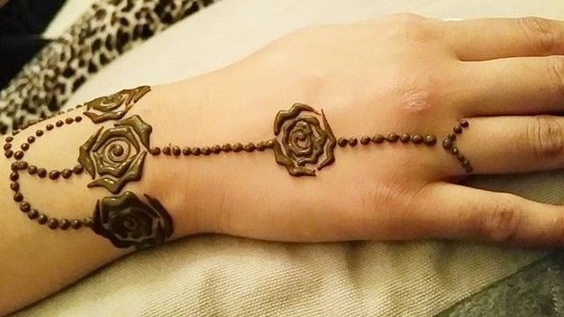 The best part is roses look way too pretty when drawn in shaded art form on hands. 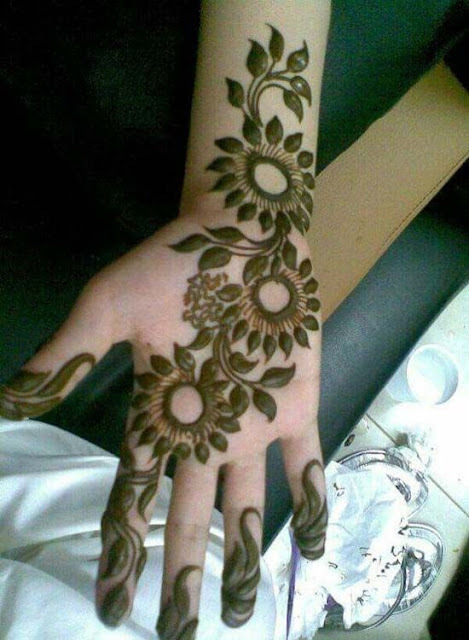 Give this mehndi design a try and you won';t be disapointed. This one looks way better in reality. 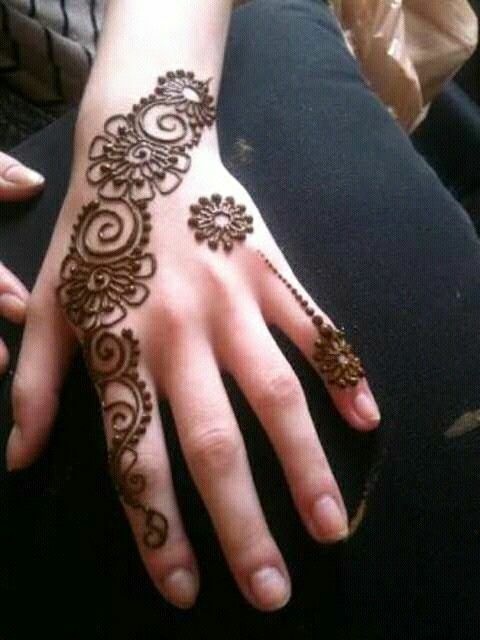 I drew this one on one of my cousins hands and everybody went on to praise at the beauty of the design ! It was damn simple guys ! Very easy to draw and looks lovely when you are in a hurry. Moreover like the less is more thing. 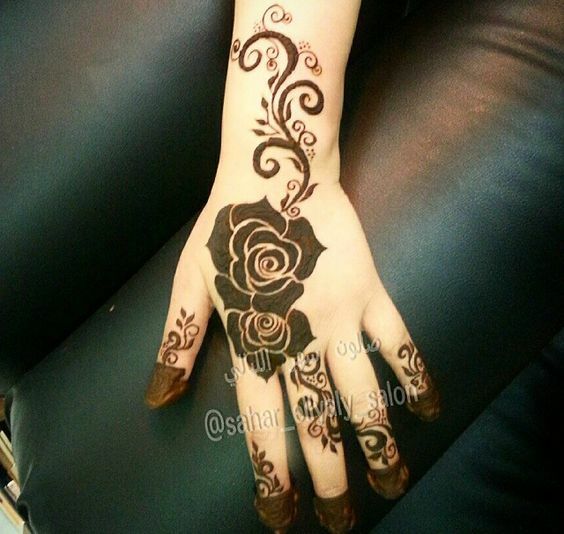 Clean and crisp, this arabic mehndi design has no shading or minute detailing which makes it easy for you to draw without having difficulty. 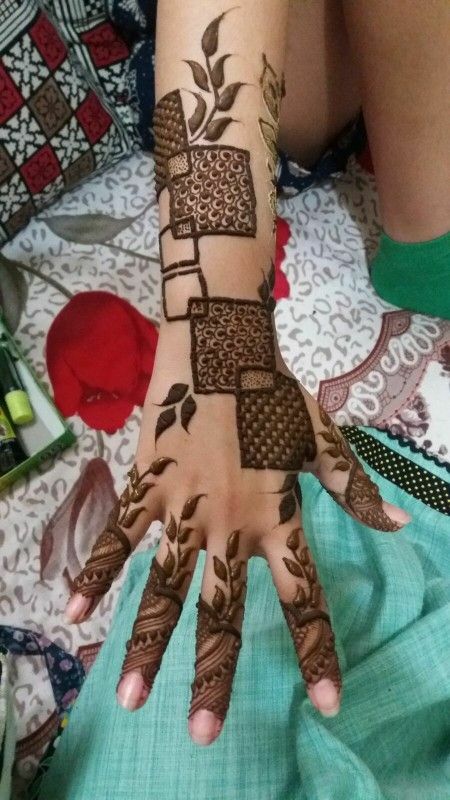 Looks very pretty with patterns of paisleys and flowers. 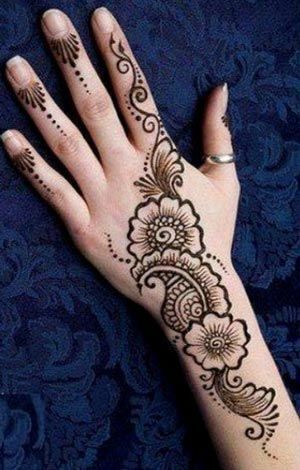 Flowers are the soul of henna patterns and this beautiful easy mehndi design is sure to capture all the attention on your palm. 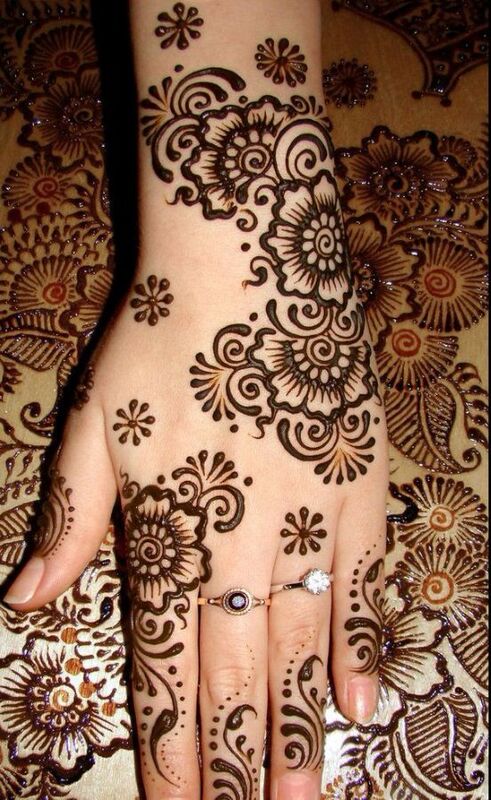 Arabic designs have an aura of themselves which captivate you, this is just one f them. Lovely and bold ! This is like a wave of fresh air for all the beginners wanting creative and new designs to start with ! 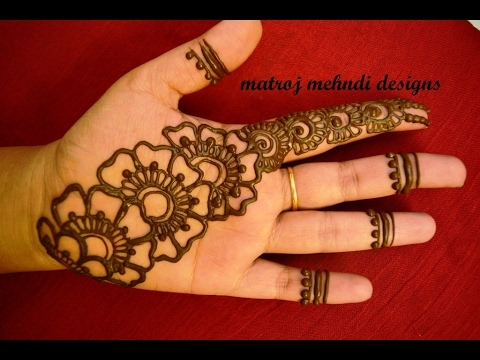 definitely worth a try if you are just starting with mehndi designs. 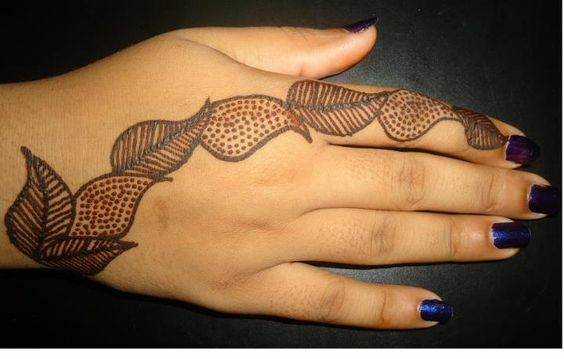 If you are one of those who don't like to go overboard then this easy mehndi design is apt for you. 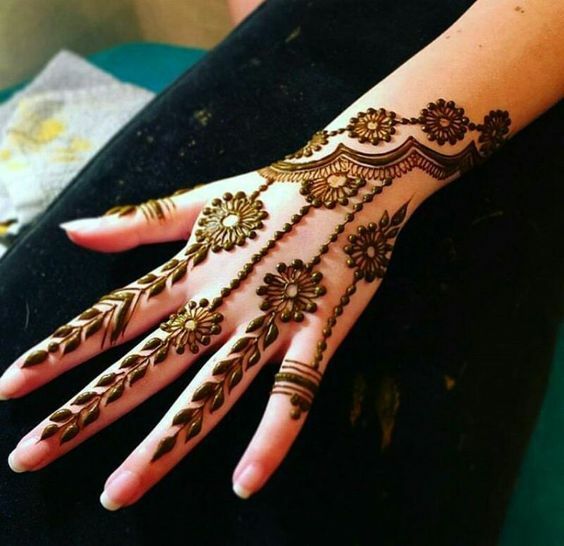 Many brides don't prefer spending a lot on mehndi artists and would like to get a beautiful yet creative mehndi design done for their weddings. 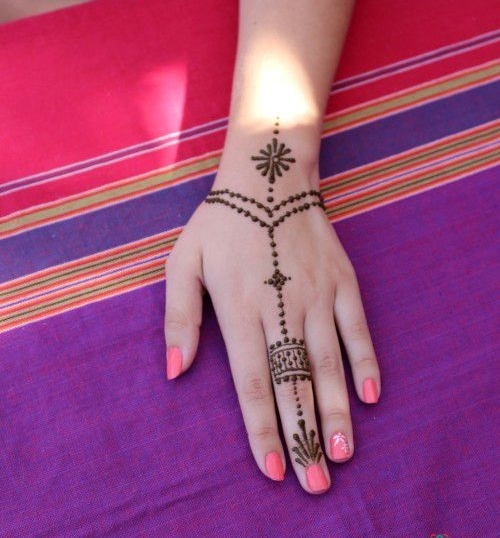 This is very easy and can be done by almost every beginner for the bride to be! 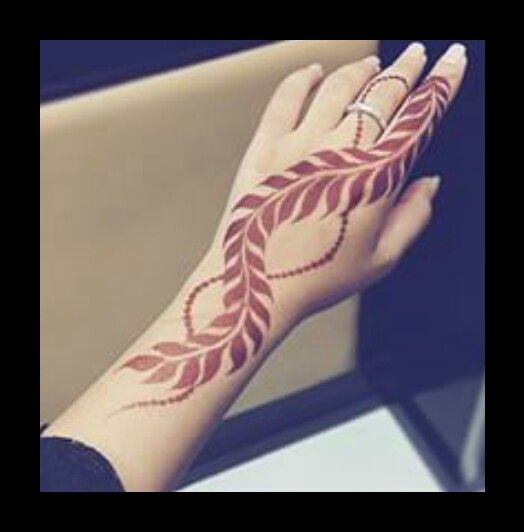 Absolutely love the square patterns and leaf vines in this easy mehndi design..
Breathtaking easy mehndi design with minimalist patterns. 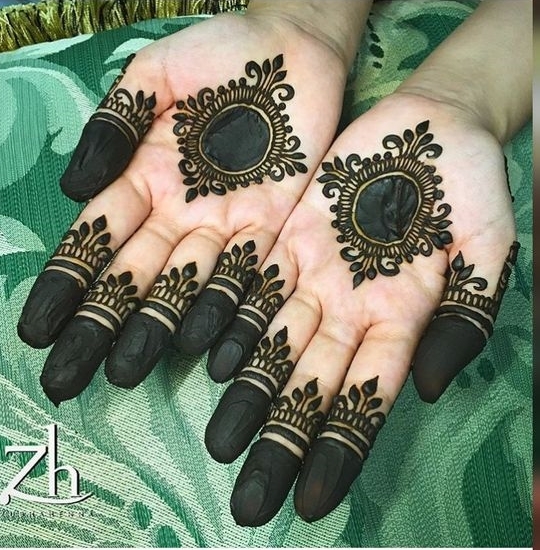 These were all the amazing easy mehndi designs you can give a try in the year 2018. 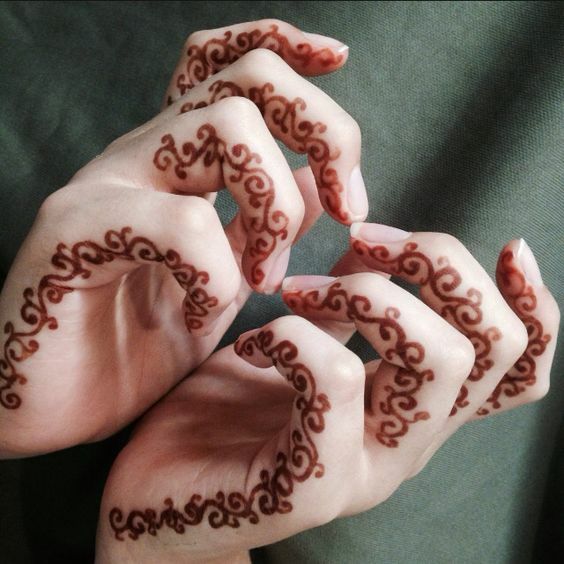 Which among all these latest and creative easy mehndi designs was your favorite?